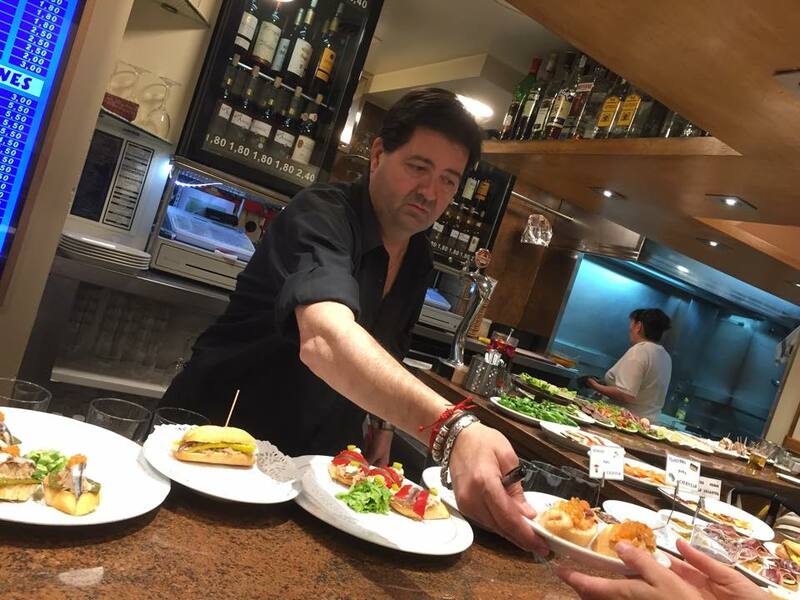 Doing the Tapas Crawl in downtown San Sebastian. People say that it’s a must do when you’re there. 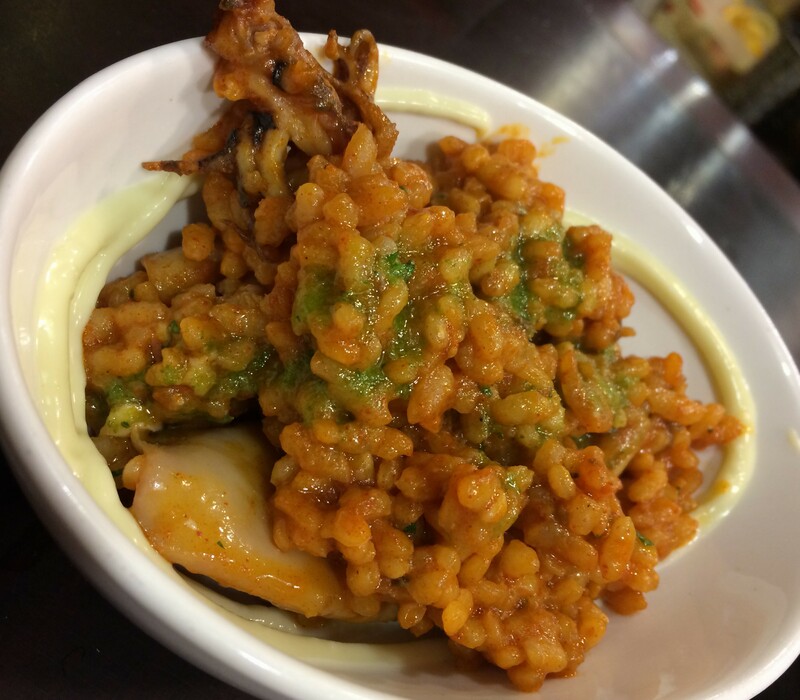 After all, Tapas is a specialty there, and there are so many places to try. 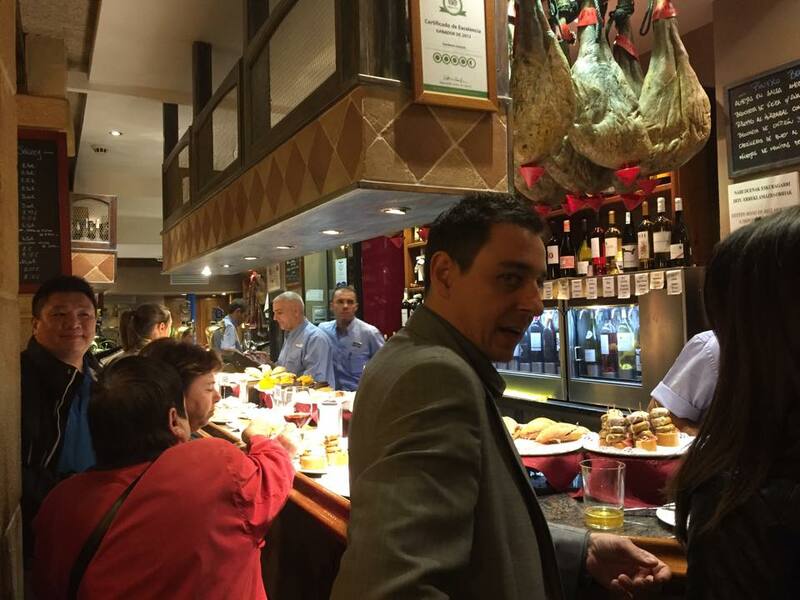 The key is to have a few at one spot, and then move on to the next Tapas bar and have some more. It’s quite a lot of fun and a great way to explore the old town. So we did just that. 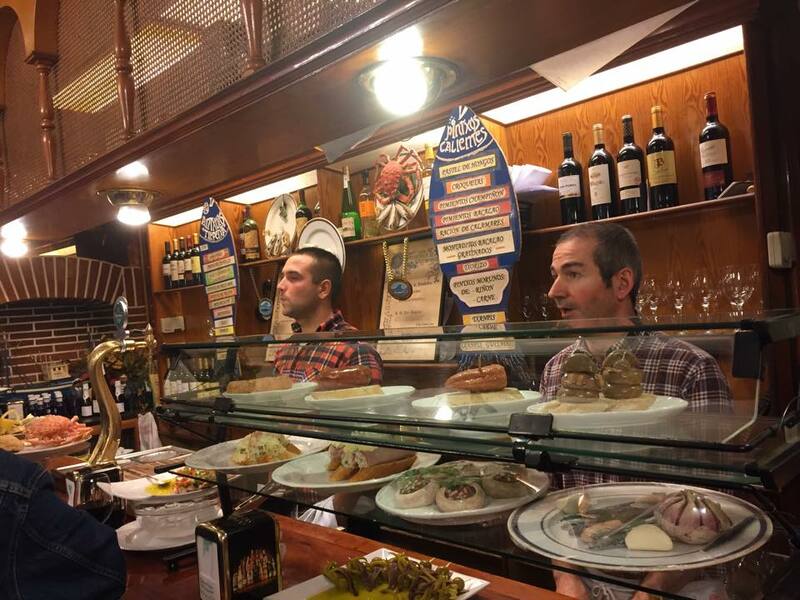 We spent one night and one morning/afternoon checking out Tapas bars. Here are the great places we went to and what we gorged on, and along the way, we met a celebrity who was following us! The first place we checked out was Bar Goiz-Argi. Quite a nice menu. They do a lot of cook to order things as well too. What did our friendly server recommend? 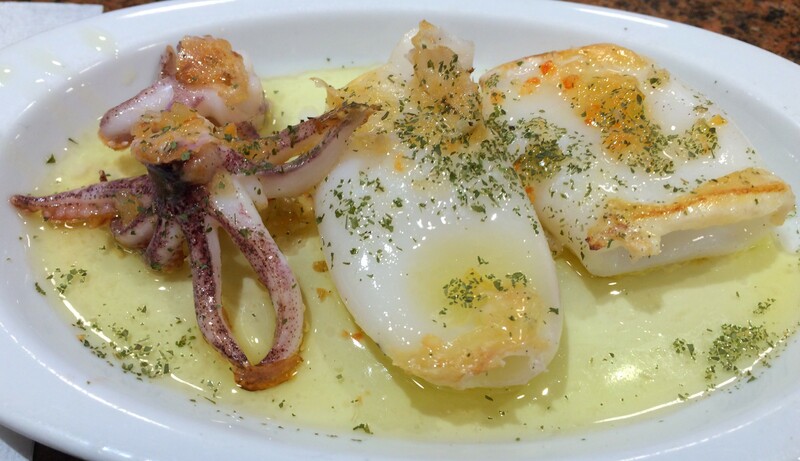 Grilled Baby Squid. Wow, so fresh and beautifully done. I can eat this all day. 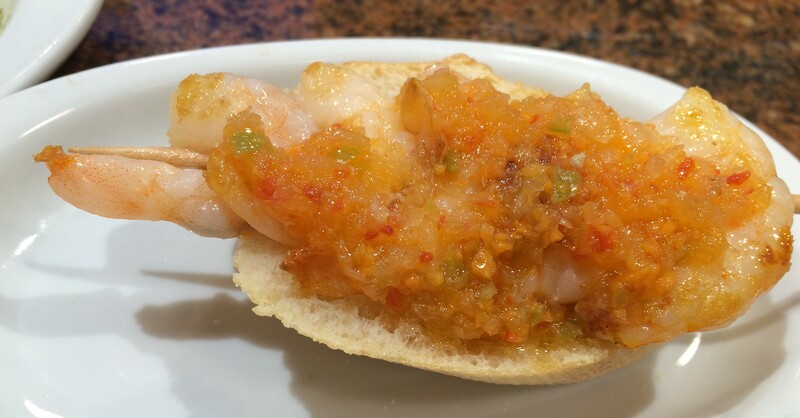 Some Grilled Prawns with a Salsa-type sauce on top. Wow, another winner. Fresh and outstanding. Grilled Pig Kidneys for Lena. With a nice dry rub on the outside, it was real good according to Lena. We finished up our little Tapas, and lo and behold, who is there on our right? 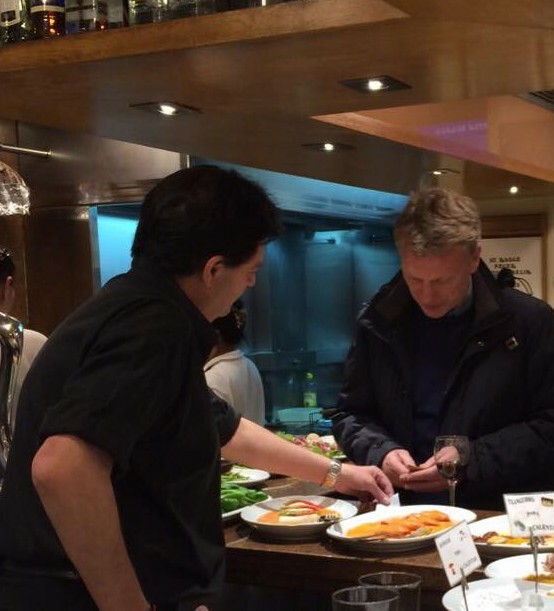 Why, it’s David Moyes! I truly respect the man when he managed my Everton with what he had. I was sad when he left for Man U, and sadder when he got canned too early (that’s my opinion). But here he was! In the same Tapas Bar as me. He paid for his items and left before I had a chance to say hello and get a picture with him. Oh well. Off to our next stop! Bar Txepetxa. This place is known for seafood and fish. What looks good on the shelves? Sea Urchin. A must. We went with some mackerel and sea urchin on top. A little fishy tasting, but not bad. Then some Cod Fish “salad” with a mayo topping. We finished there and decided to head out some more. 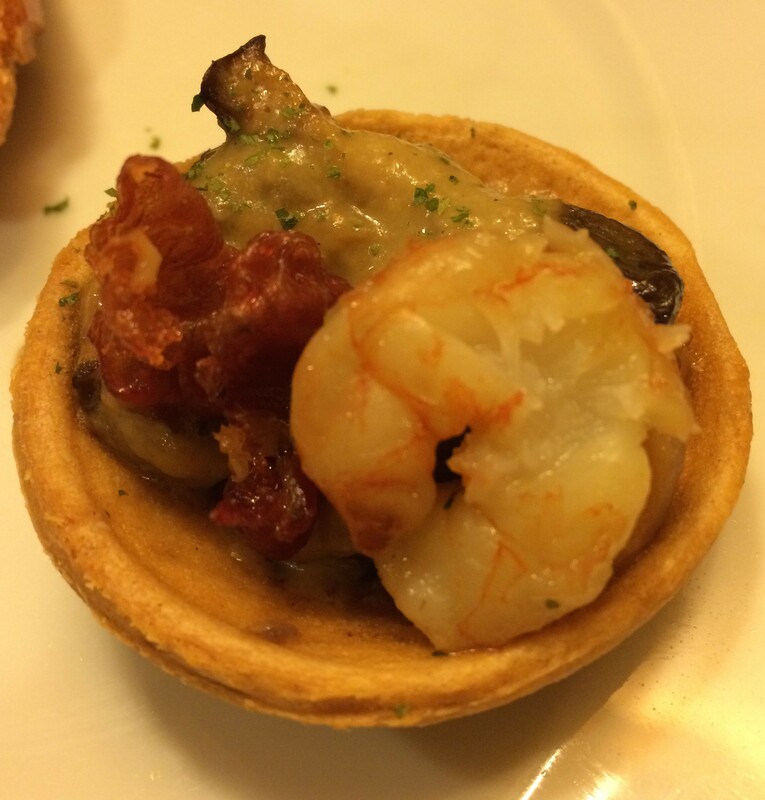 A Mushroom and Prawn tart. Nice taste and flaky crust. A nice piece of Cod Fish with a chili pepper and some onions on top. This was smooth and nice. 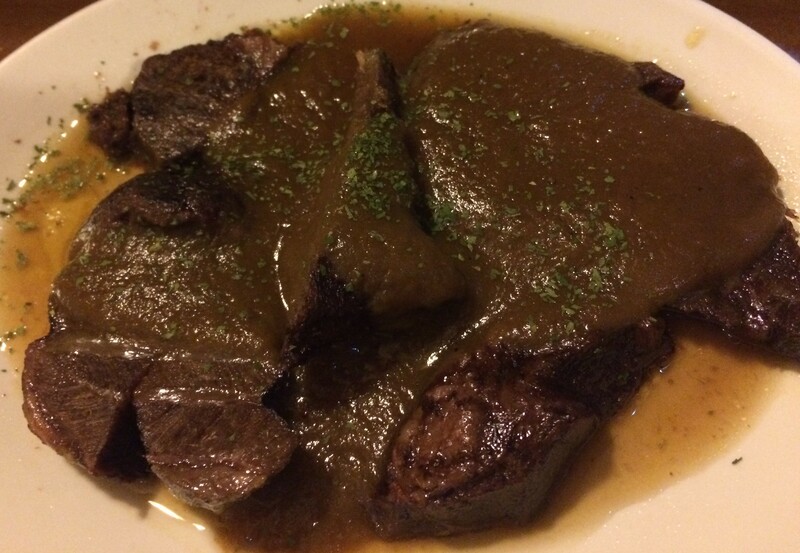 And a specialty of the house — Beef Cheeks. We decided to go for the plate rather than a Tapas. It was just so tender, soft and yummy. And look who followed us to Gandarias! 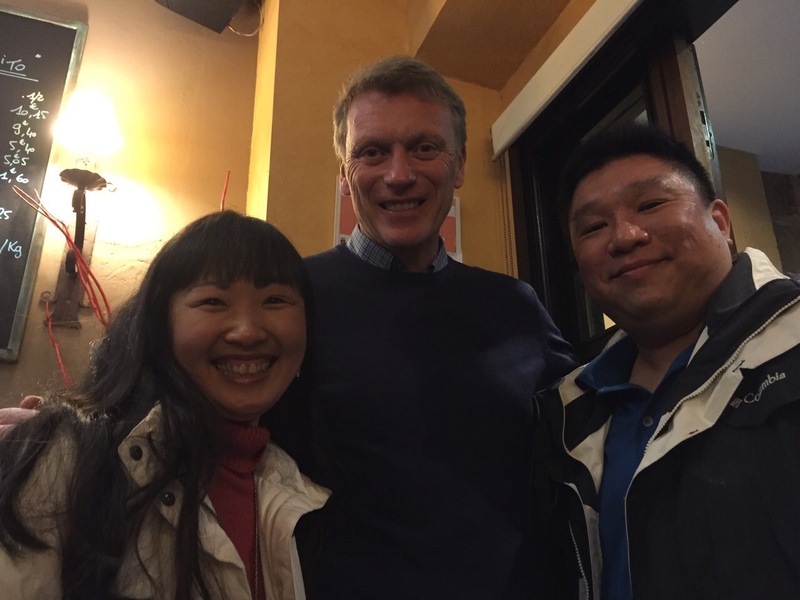 David Moyes! Nice guy, and so pleasant as we talked briefly and took the picture. Full for the night, we walked the 30 minutes back to our hotel and had a great night of rest with a full belly. 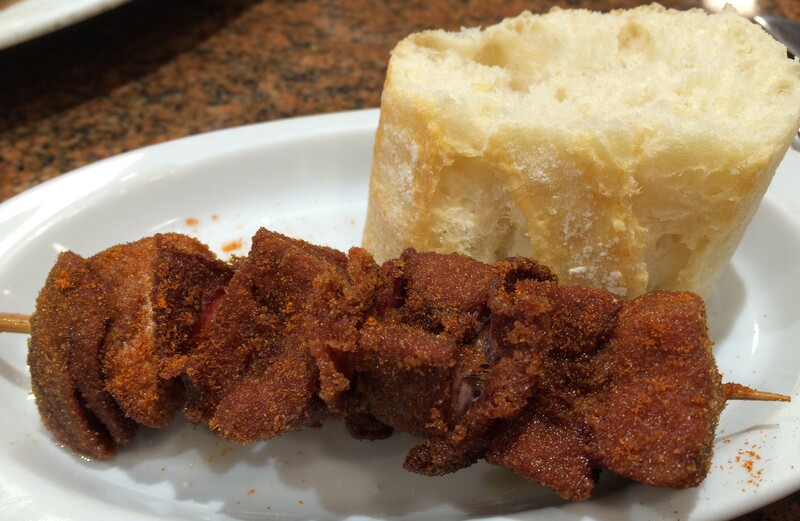 When we woke up, we went for more Tapas before our drive to Madrid. 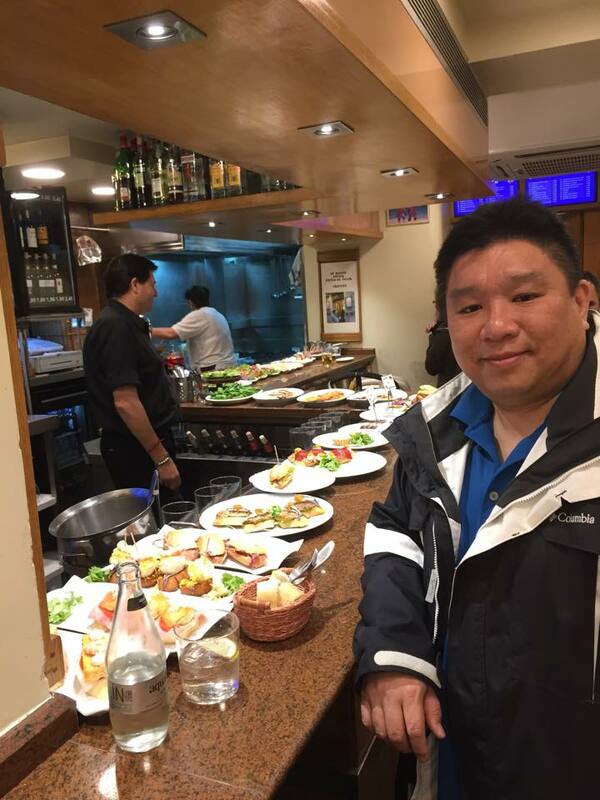 The previous night we didn’t make it to La Cuchara de San Telmo, which is listed as one of the top Tapas places in San Sebastian. The daily menu is on the chalkboard. 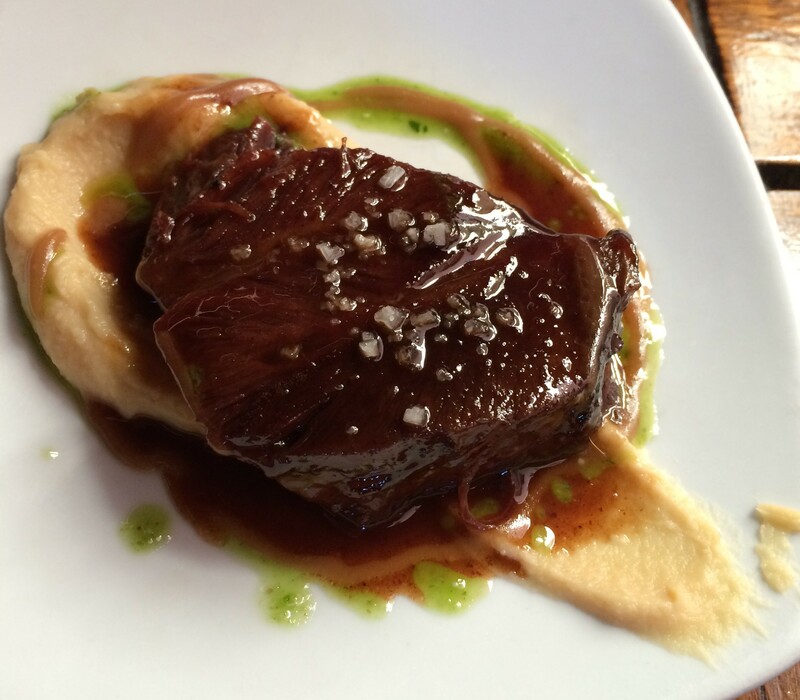 Beef Cheek on a bed of Garbanzo Mash. Wow. Simply heaven. Tender, soft and so, so, so good. 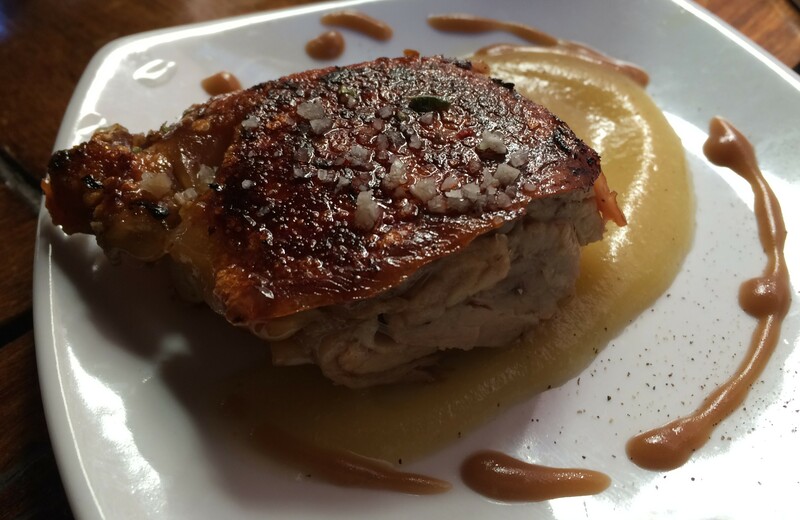 Roasted Pork Shoulder on Applesauce. Wow. Tender and the skin nice and crispy. 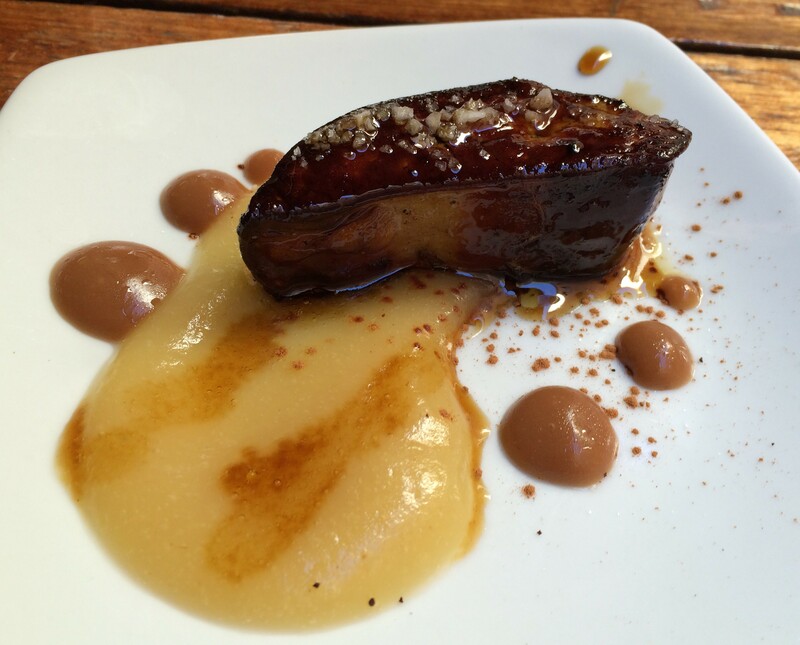 Foie Gras. A whole piece grilled. Wow. This was by far the best place we went for Tapas. If we went last night, we would have just stayed here and ate and ate. We had time for one more spot before heading to Madrid. We wanted to try Borda Berri the night before, but they were closed. However, they were open the next day for lunch. First off, some Risotto with Seafood. Smooth and tasty! 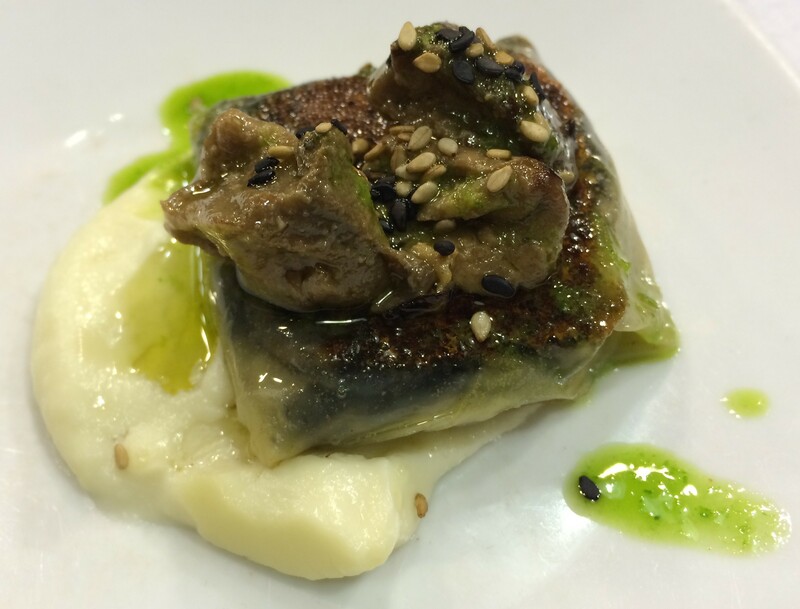 A Ravioli of Leeks, Sweetbreads and Lemongrass. Tasty! 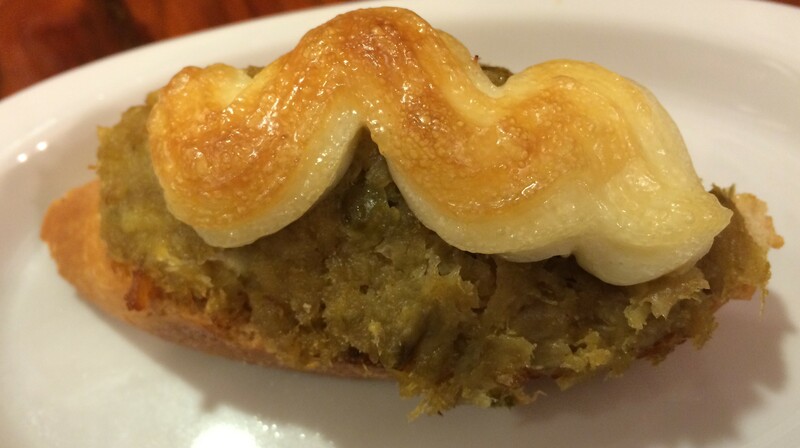 And the last one of our San Sebastian Tapas Crawl – a dessert tapas! 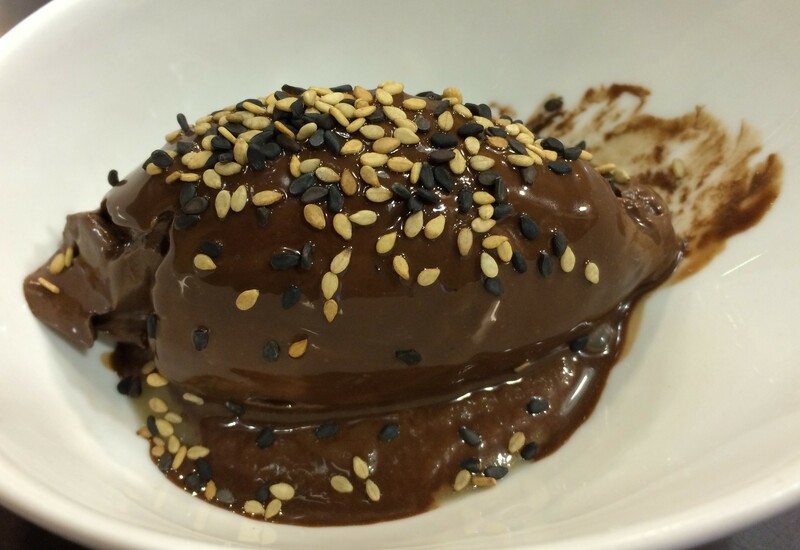 Chocolate Ganache with Cointreau! Smooth way to finish it all out! 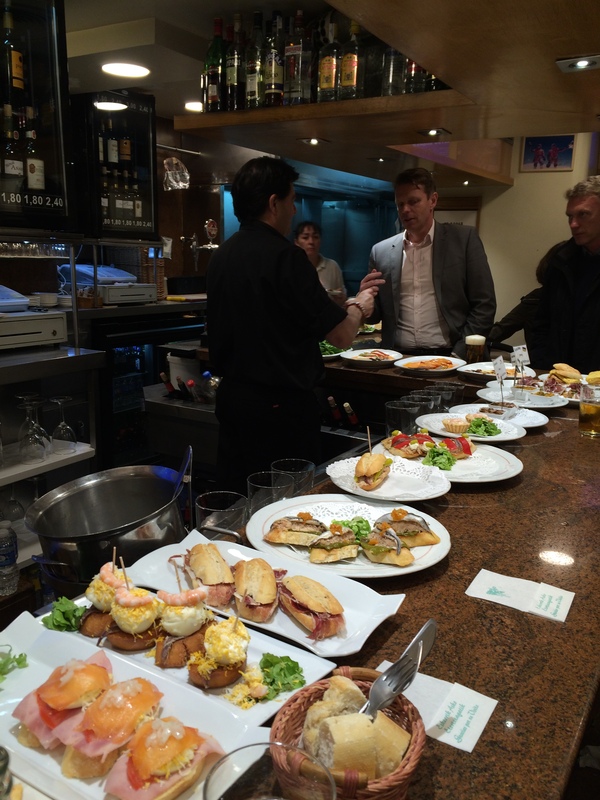 A Tapas Crawl in San Sebastian is living. You need to do this once in your life if you’re a foodie. Aside from the food, the town is awesome and if the weather is great, it’s a great holiday. 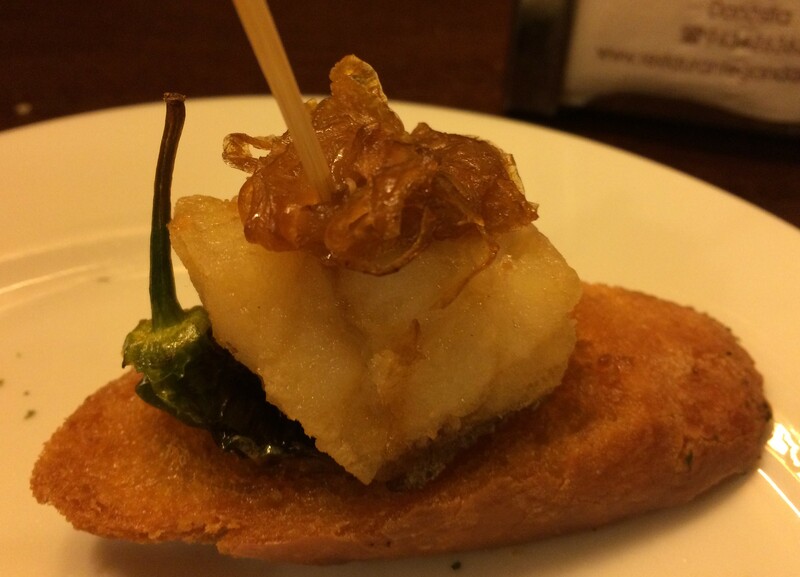 Posted in San Sebastian, TapasTagged San Sebastian, Spain, TapasBookmark the permalink.